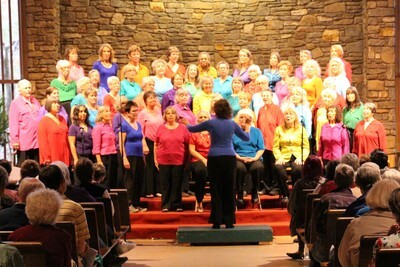 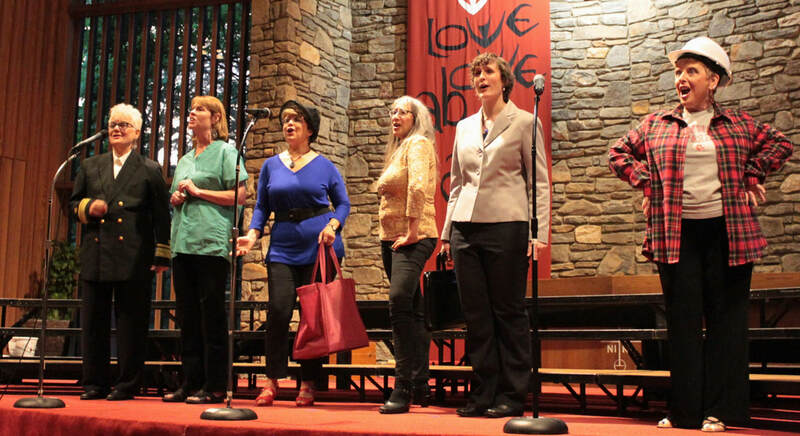 Womansong is Asheville's oldest and largest women's community chorus. Womansong performances are known for their high energy, pure entertainment, and unusual variety. The chorus’s eclectic repertoire includes songs from around the world as well as our own backyard, with several pieces composed by Womansong members. 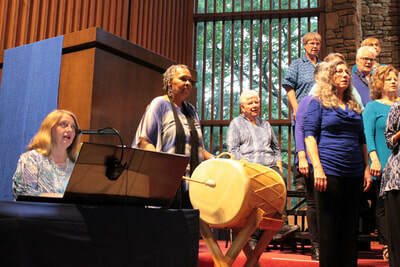 Lively accompaniment is provided by a variety of instrumentalists along with dancing and drumming. 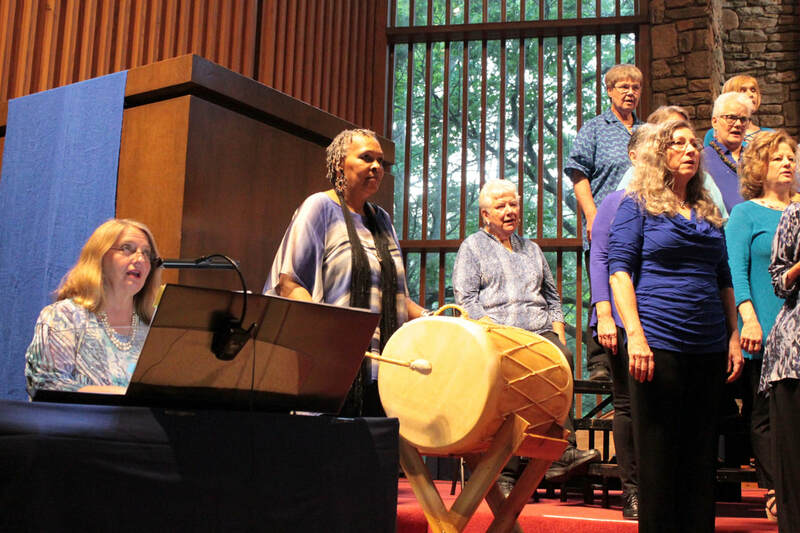 Womansong’s music and community efforts are grounded in the common spirit of women working and singing together. 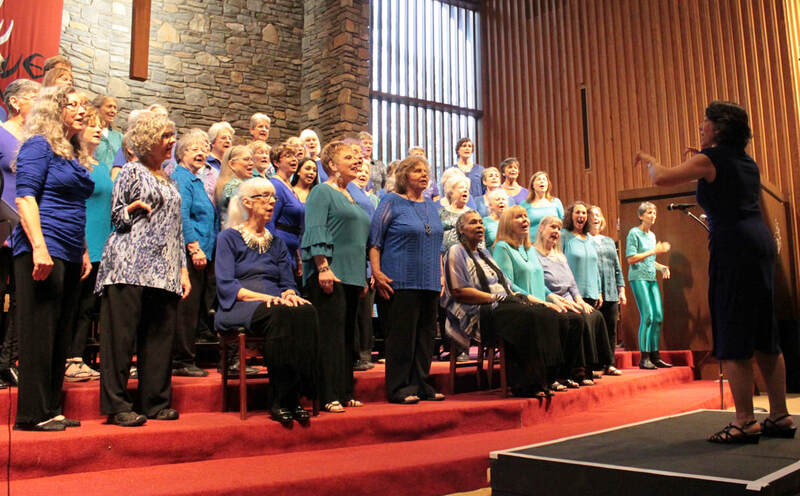 The chorus proclaims unity and honors cultural diversity with songs that celebrate many themes in women’s lives – empowerment, spirituality, healing, and humor. 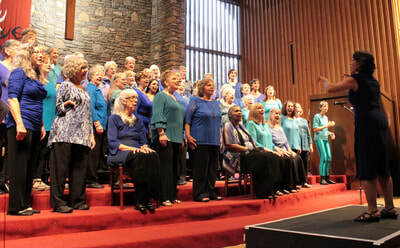 Proceeds from Womansong concerts support its New Start Program. "Hearing your concert tonight makes me the happiest I've ever been to be a woman!" 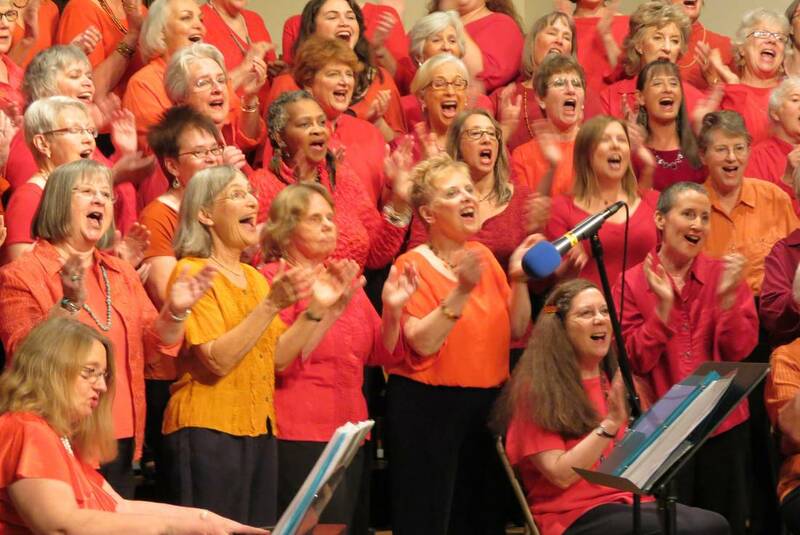 "[Our director's] greatest gift to me is that she reminds us of the gift we give others and each other by singing… reminding us that we are transforming the world with music!" 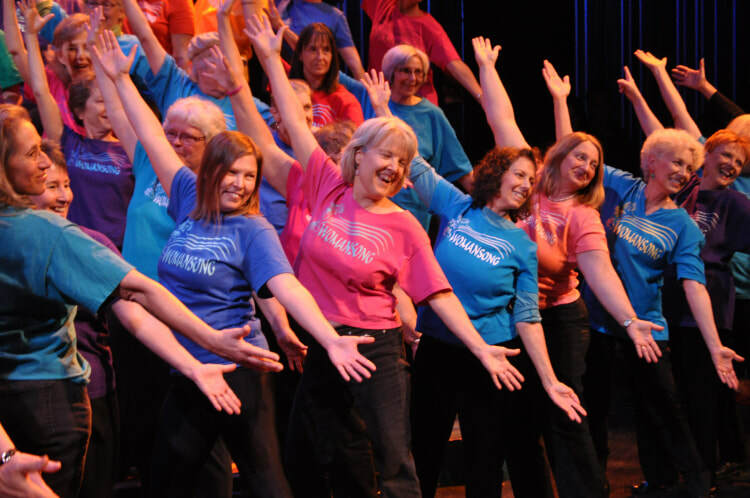 "The Womansong community is the most loving, committed, talented (and sometimes eccentric!) 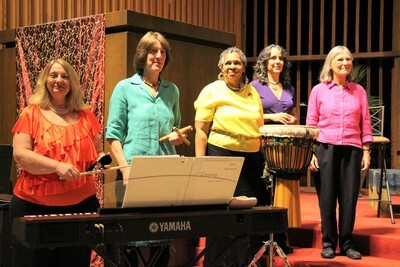 group of women I have ever been a part of." 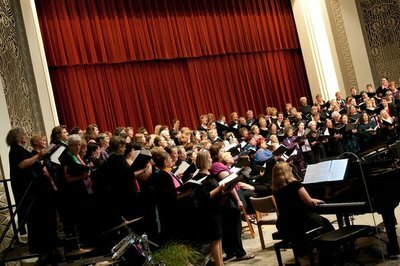 "...what a wondrous experience it was for everyone involved, both the audience and the performers! 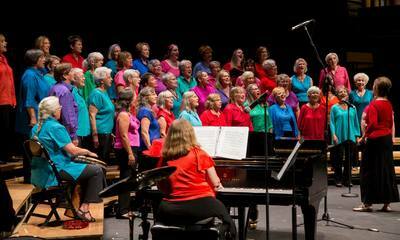 Every single soul present was touched by the enormity of the event." 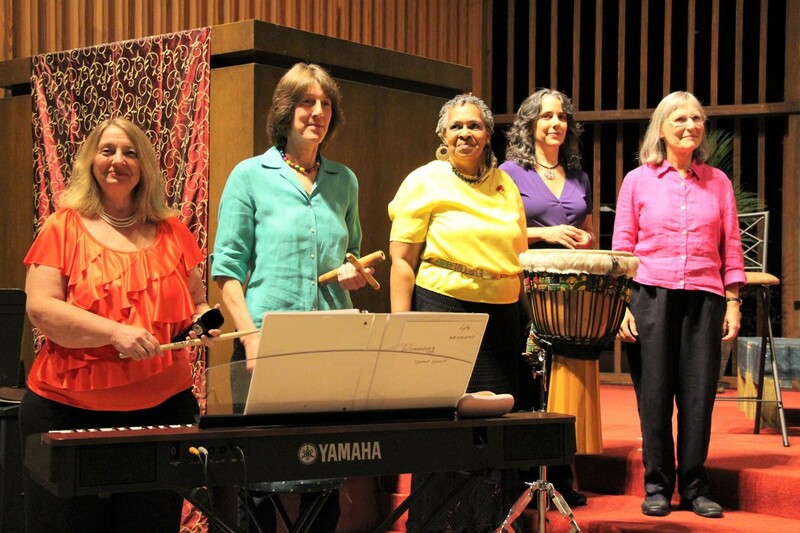 "Womansong demonstrates womanhood at it's finest! I am so impressed with the quality of performance and dedication as well as the kindness, support, encouragement, and love shown to all by this group of women.... You all are truly demonstrating your highest self!"